How do you download MikuMikuDance models? How do you download music for MMD? How do you get Miku Miku Dance motions? Where do you download stuff for MMD? Where do you download MMD models? I Just Downloaded Miku Miku Dance! Okay! You’ve just downloaded MMD (The latest DirectX version,I hope). You played the sample dance. Then you might have loaded one or two of the default models. So you’re thinking: “Now what?” … This next part of your MMD experience can be a lot fun. You are now about to start collecting! Models, .wavs, motions, stages, and effects of all kinds are out there for you. The first thing you need to be prepared for is that the majority of these file sites are in Japanese! The files, folders, and other data are also listed in Japanese. So navigating your way through these sites will test your net savvy. Don’t Panic! There are English-language sites, too. YouTube up loaders will sometimes put links in the “Descriptions” as part of their up loads. DeviantArt has a plethora of channels for downloads. One of my fellow contributors, VocaMix2684, recently wrote an article on one of my favorite sites: MikuDance.info. (Also see their link in the DOWNLOADS section of our site). Another option to overcoming the language barrier is to use your browser’s translation applications (Google Translate comes to mind). There are also on-line translation sites that allow you to copy/paste text. Don’t expect it to be in the Queen’s English, but it will give you a working clue to help you figure stuff out. The most basic thing you need is a good compression program to open ZIP and RAR folders and files. 7-Zip, Winzip, and WinRAR are the major players in this arena. Whichever one works for you is fine, as long as it works. Almost all of things you want to download will be in a ZIP or RAR file format. You can download these programs and decide which one (or ones) you like by clicking the Download tab at cnet.com. Once you download the data, it’s a good habit to rename the file to something you can understand and use. This would also be the best time to document who made the data (Example: “Gothic Teto by Nigamon” or “Candy Candy motion data by Yamilucy” are short and sweet file names). More often than not, you’ll find credits in a “Read Me” file included in most downloads. It is very important to give credit where credit is due. The ones who create this data, do it for love-please respect that. Finally, place the new folder into the correct subfolder inside your User Folder. I really enjoy this part of MMD-ing! What never ceases to amaze me is the sheer amount of pure creativity people up load. Daily, someone has a new dance, skit or meme available. MMoDlers (my terminology) create and upload a diversity of new models. You can also subscribe to and learn from them. Making friends with an MMoDler could open the door to custom model work. I hope you now have a better idea of what to expect as you begin to search for and build your own MMD Collection. You ARE loading the model using the LOAD button, yes? You cannot “open” a model from the File menu. OPEN is only for opening saved dances… the .pmm files. Ok I have a HUGE problem. So I was working on a mmd video. I always have this problem, it says that it is not for Polygon Movie Maker. How would you fix that? Also it isn’t loading a motion data that I saved, it says that it isn’t a Vocaloid Motion Data file. I REALLY NEED HELP!!! What is the file that you are trying to load, and what do you expect to do with it? 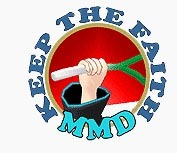 There are several types of MMD-related data files, and each one has its own entrance way. You could mistake one for another. Hello! … You’ve gotta start from the beginning. You say “I always have this problem.” So, what happens? You create an animation, and when you push PLAY, it plays OK… and then you SAVE… and you close MMD. When you open MMD and try to Open your dance, MMD says “it is not for Polygon Movie Maker”… is THAT what happens, exactly like that? … or what, exactly? Use the LOAD button to load models… not “Open”. i just downloaded it but it didn’t even give me a mmodel to start with. i have been looking at deviant art but its not giving me png files. Which MMD are you using … the latest: MMD 9.26? … and you LOAD but cannot see your PMX models to load them? I am sending you an email … let’s figure it out! PMX files aren’t working! They just don’t show up when I go to LOAD. I’ve checked multiple times on File Explorer and I can see that they are there, but MMD just isn’t accepting them? Help!? A) Where does your model reside? By default, MMD looks for models in its UserFile\Model folder; if you unpacked it elsewhere, you’ll have to search for its path manually. B) How did you try to open it? The File menu (where you probably looked for it) has commands to open whole projects, pose and motion data, .wav files… but *not* models. To open a model, click a “load” button on a Model Manipulation pane in the lower part (maroon). Or simply drag and drop a .pmd (or .pmx) file into the MMD window. I need help with opening a model… I’ve got it downloaded, in my userfile, and ready to go. The problem is when I go to open it from the mmd software, all I get are empty folders. I’ve noticed too that all the models are in pmd form, and I don’t have any of those(The closed i have is a pmx…) Help?? PMX models will work fine. You know that you do not “open” a model in MMD … You go to the LOAD button in the lower left of the MMD screen … the Model Manipulation panel (the brown-colored area). LOAD will show you the .pmd or .pmx models. hi, i’ve been collecting models for almost a year now and i understand that theres tons of models out there that ARE REDISTRIBUTABLE yet their links are gone. one these specific models im looking for is Nigamon’s Gothic Miku (which i saw in one of your photos on this page!) and im wondering if you could please upload a link somewhere (since the model CAN be redistributed according to the MikuMikuDance Wiki) where i can download it? I have just started to collect models, and have downloaded a few. But the confuseing thing is is that when I look at what is it the file, there is a ‘blank’ (is that what to call it?) model with no colour on at all. Also there are many files that have names like : Hair.png, Eye.png and Outer.png. What are these and how do you use the model then????? I am very confused. Thank you for your questions I hope I can guide you through. Whenever you load a model through the Model Manipulation Panel (MMP), MMD will seek out either a .pmd or .pmx file type. So you shouldn’t see the model’s individual parts. It might be that you are looking at the model’s source file (without using the MMD) or you might have *. * all files checked in your Windows display. I hope these articles will help you out. Hi Miranda! … When you download a new model. Extract the files … and drop the new folder into the Model folder inside your UserFile folder. Name the folder something to help you identify the model: “IA edit by Hidaomari v2.0” … something like that so you know the model and the source at a glance. Keep the model in its folder … LOAD the model from the control panel of MMD … and you will probably never accidentally see her parts and files.